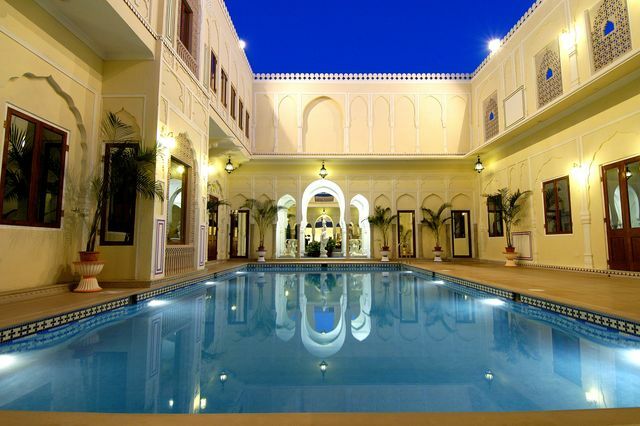 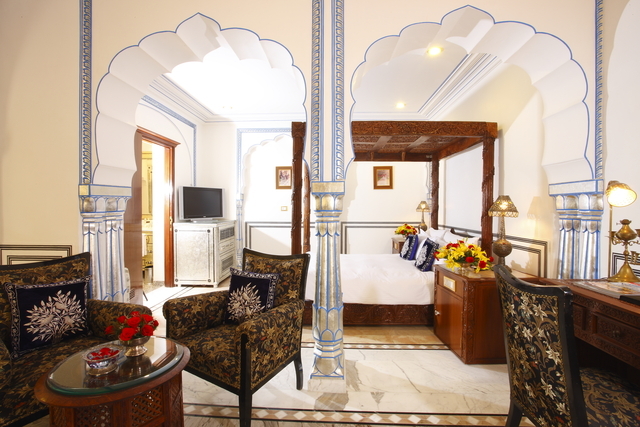 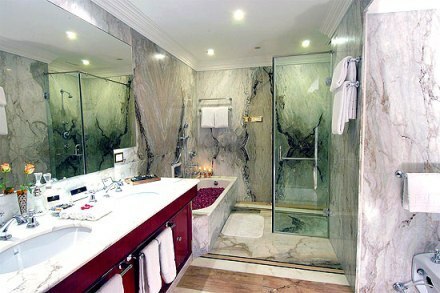 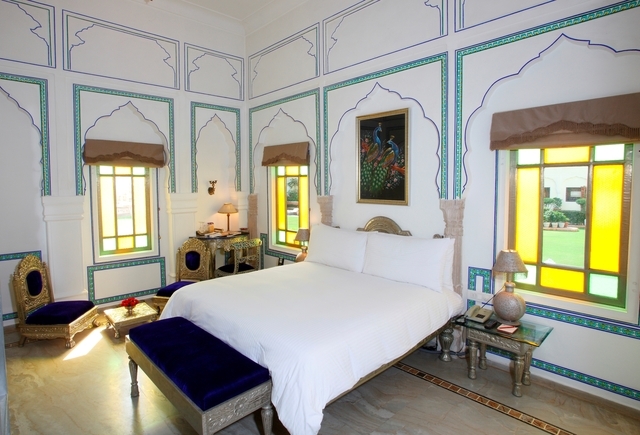 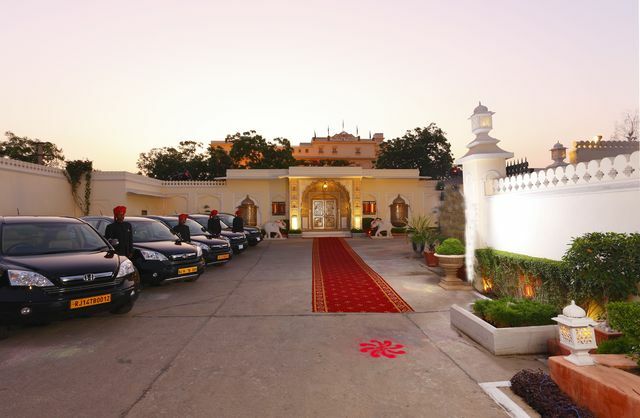 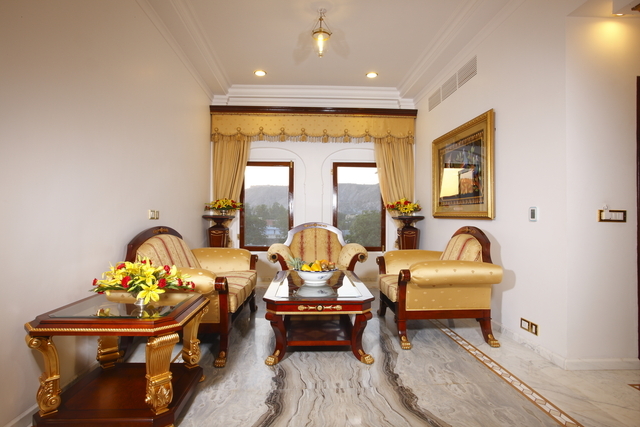 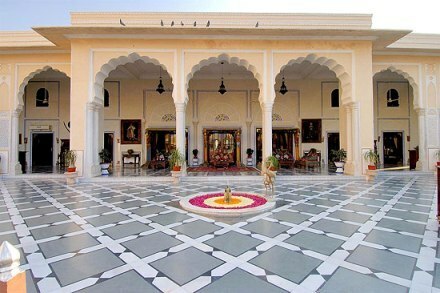 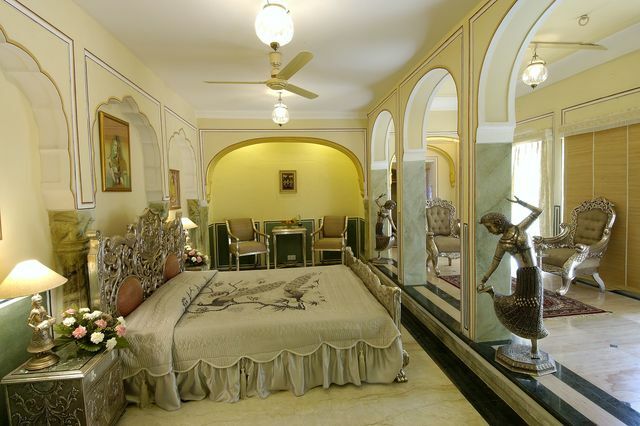 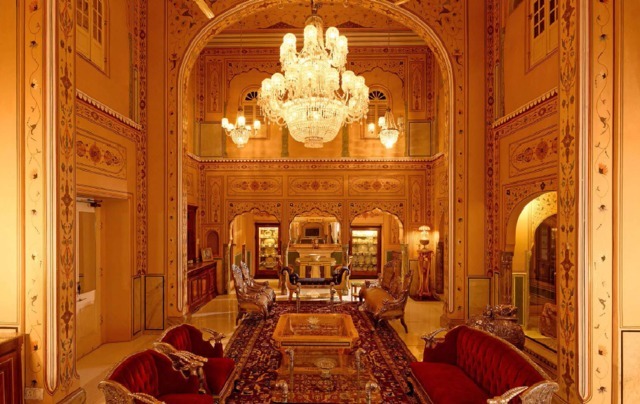 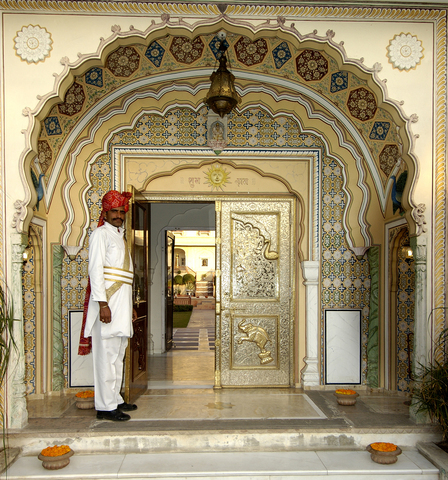 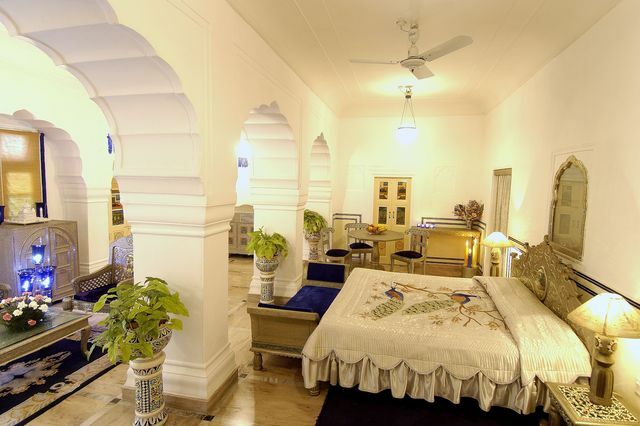 Guests who wish to indulge in a majestic experience should stay at The Raj Palace, Jaipur. 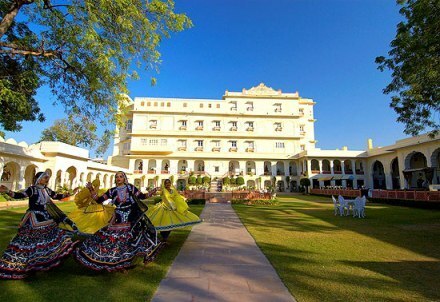 This opulent heritage hotel offers its guests royal accommodation with traditional decor and modern amenities. 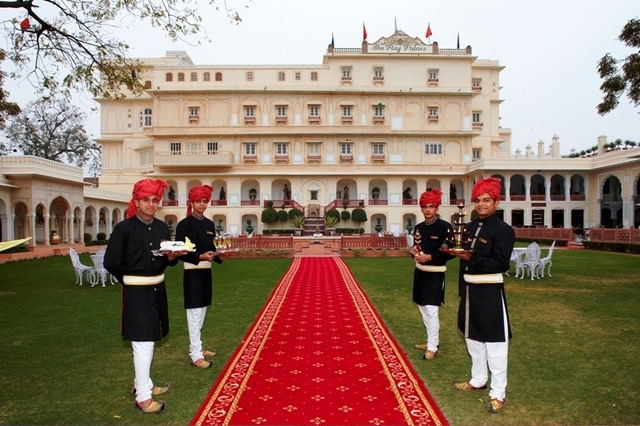 Bestowed with many awards, this palace hotel is best for an unforgettable stay. 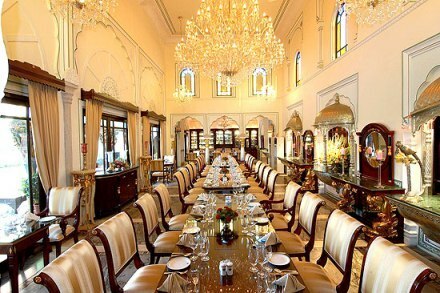 Raj Palace is located at Amer Road. 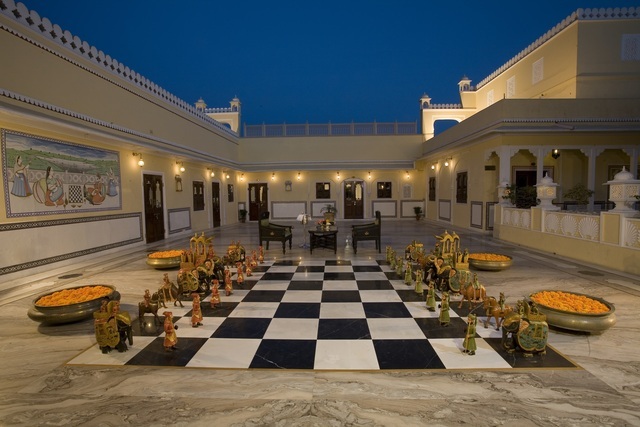 It is easily accessible to places like Vidhya Dhar Ji Garden (Approx. 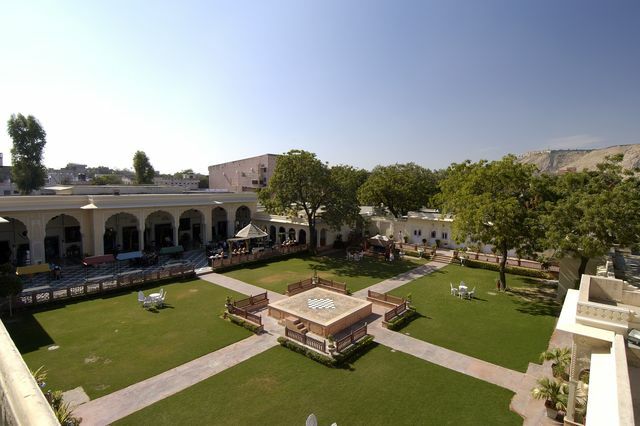 6km) and Akash Ganga Park (Approx. 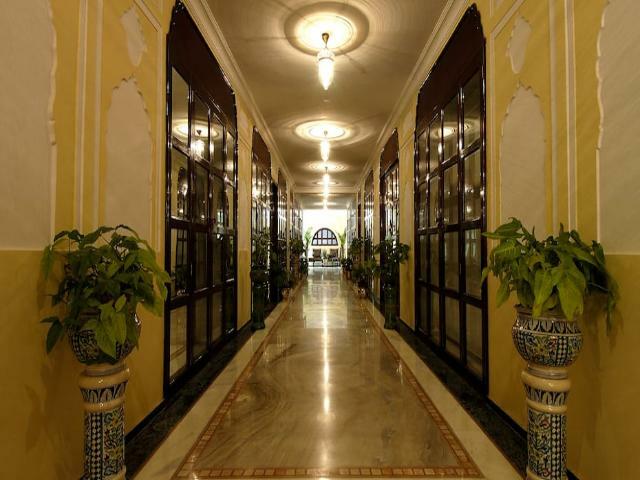 9km). 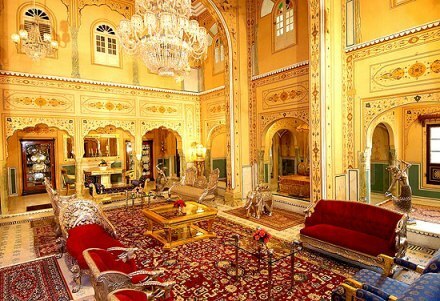 Places that can also be visited are Rambagh Palace, the Jai Mahal and Albert Hall Museum. 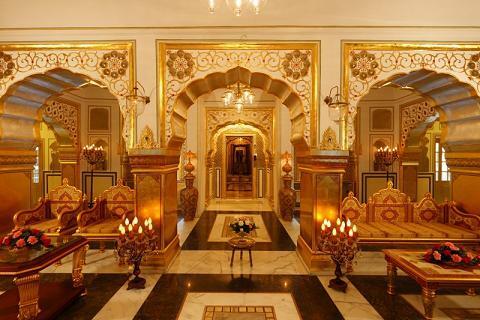 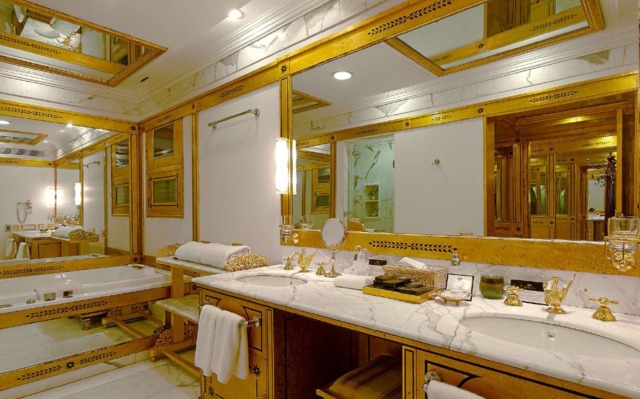 This hotel ensures guests stay convenient along with it being luxurious. 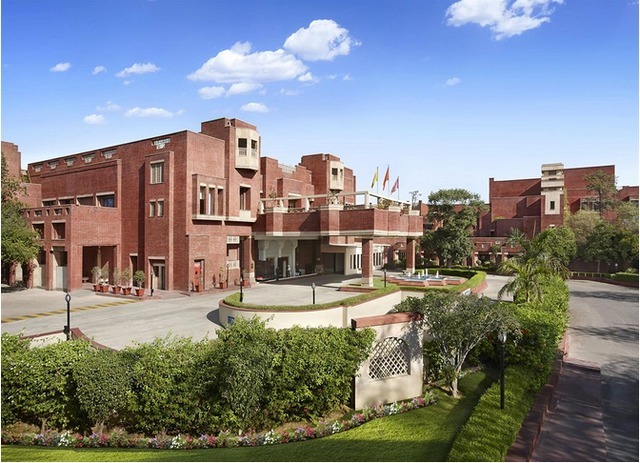 The number of facilities include internet, business centre, gym, pool, 24-hour front desk, 24-hour room service, air conditioning, conference facilities, elevators, laundry, non-smoking rooms, parking, shopping, travel desk, wheel chair access, 24-hour security, body treatments, catering services, cocktail lounge, concierge, Jacuzzi, massage services, steam bath, wedding services, banquet facilities, doctor on call and business services like audio visual equipment and LCD/Projector. 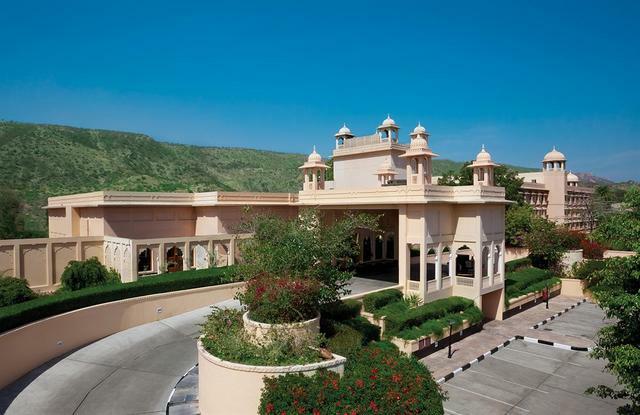 It arranges for elephant and camel safaris from the hotel to the Amber fort. 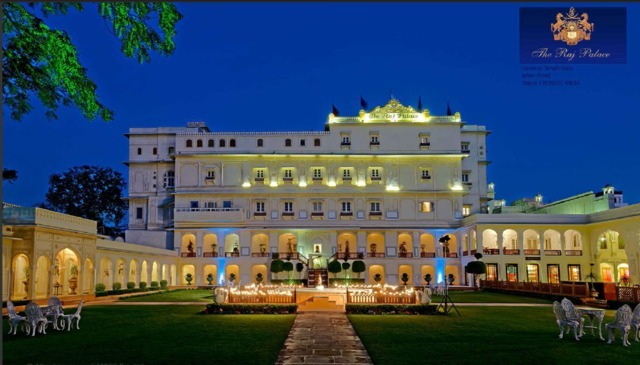 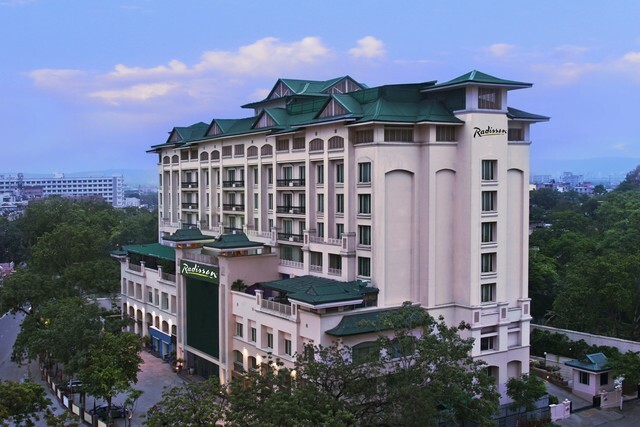 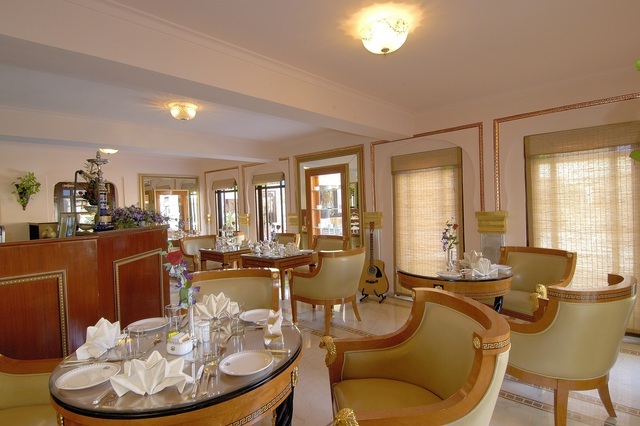 The hotel houses various dining options like Swapna Mahal which is a multi cuisine restaurant that offers delicacies from Indian, Chinese and Continental menus, The Kebab Shop serves meals especially made from Lucknowi recipes along with imported wines and champagnes at different occasions and parties. 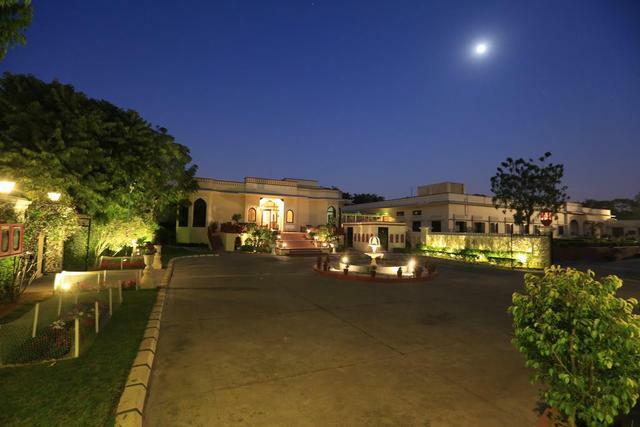 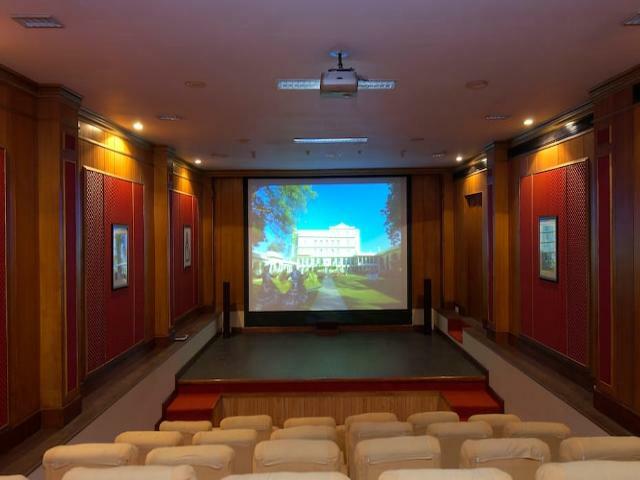 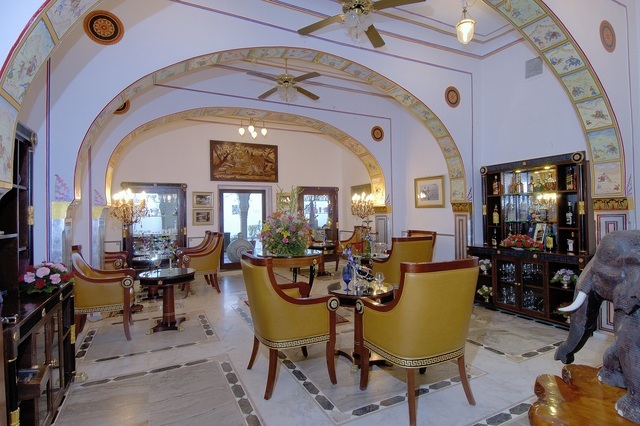 Apart from this the hotel has The Royal Lounge to relax with coffee and snacks and Shikarbadi an interesting, dramatic bar which has a display of rare artefacts, Trophies, Memorabilias and leather upholstered furniture. 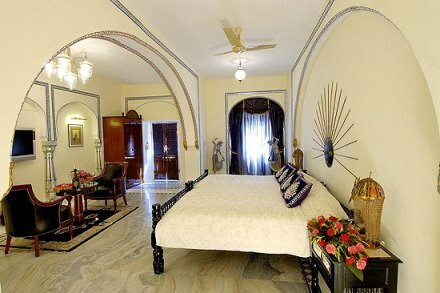 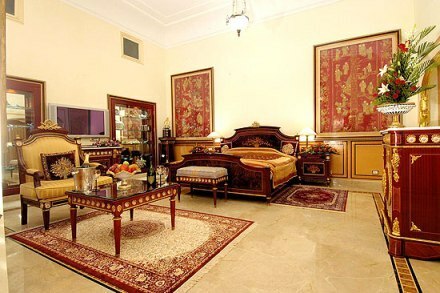 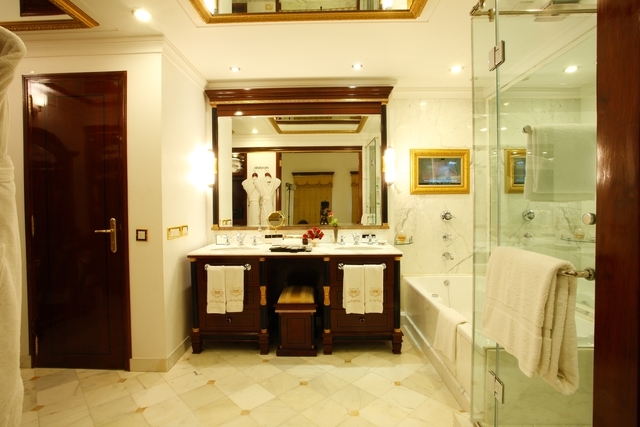 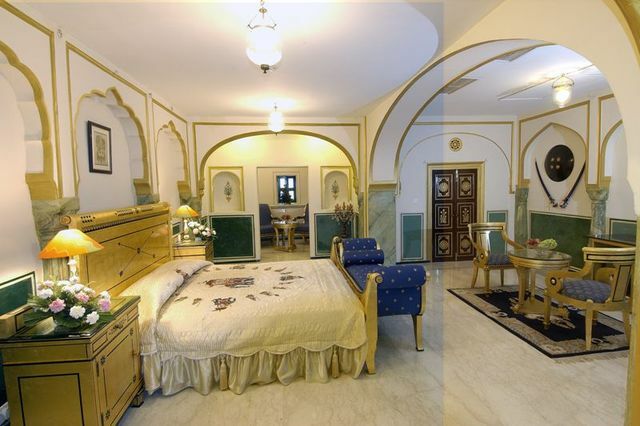 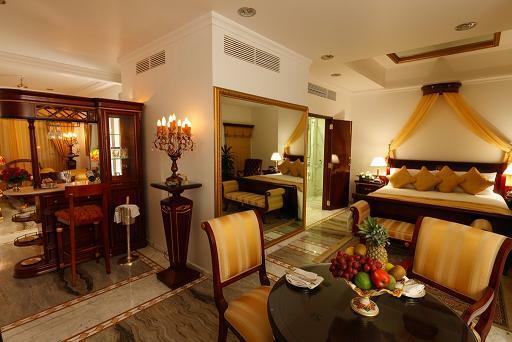 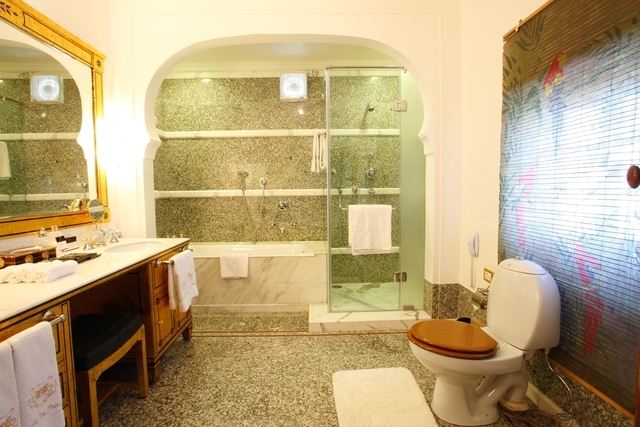 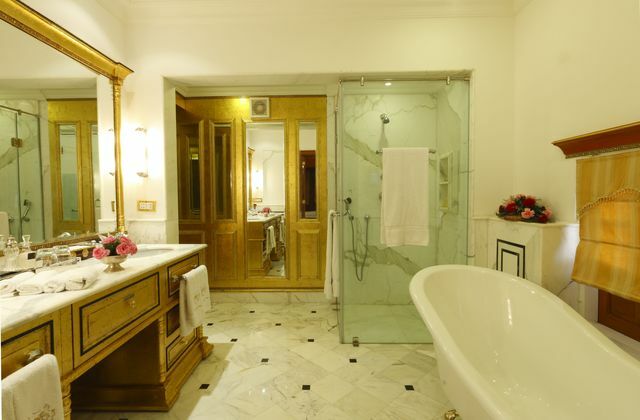 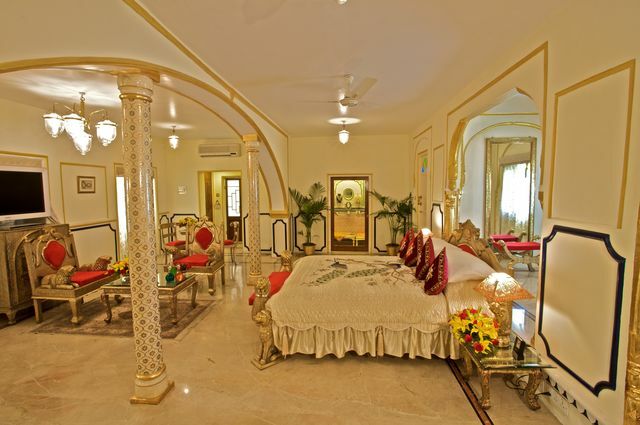 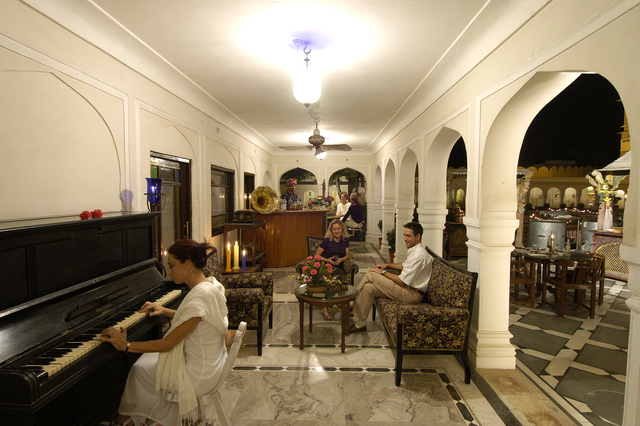 The royal accommodations offered by the hotel are Prestige suite, Historical Room and Heritage Room. 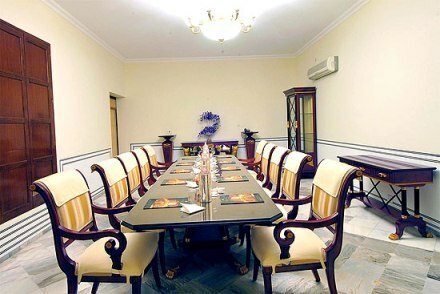 These rooms are provided with air conditioning, hair dryer, internet access, iron, mini bar, newspaper, private bathroom, refrigerator, safe, telephone, balcony, bath tub, bathrobe, bedside lamp, complimentary mineral water bottle, complimentary toiletries, flat-screen TV, hangers, in-room menu, ironing board, laundry bag, luggage space, marble flooring, phone line, rollaway bed, satellite TV, slippers, tea/coffee maker, temp control, Wi-Fi access on charge and writing desk.